Yesterday we took a trip over to Wailuku to take care of some Maui tile power washing. We cleaning approximately 1500 sq. ft. of tile, as well as cleaned 1/8 in. thick black mold out of outdoor wooden shower stalls. Want your home or business to have tile as clean as this? We are happy to regularly pressure wash tile to keep your home or business clean after the mold of winter has set in. 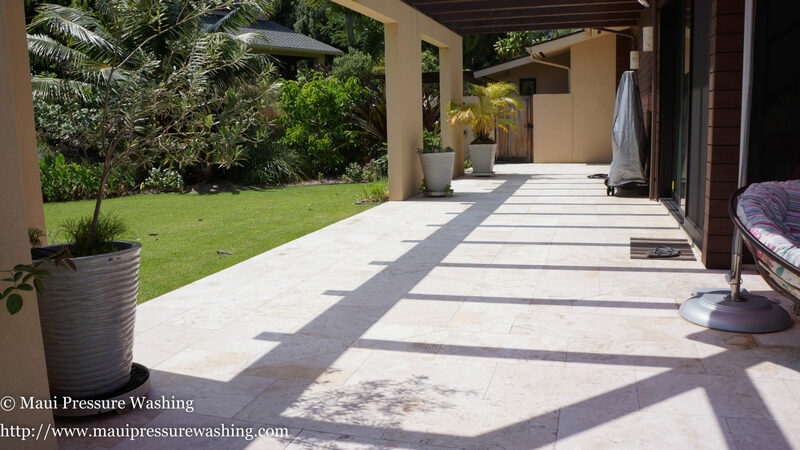 Call (808)463-7166 to receive a quote for Maui tile power washing from Maui Pressure Washing. We can get up everything from dust to banana juice. 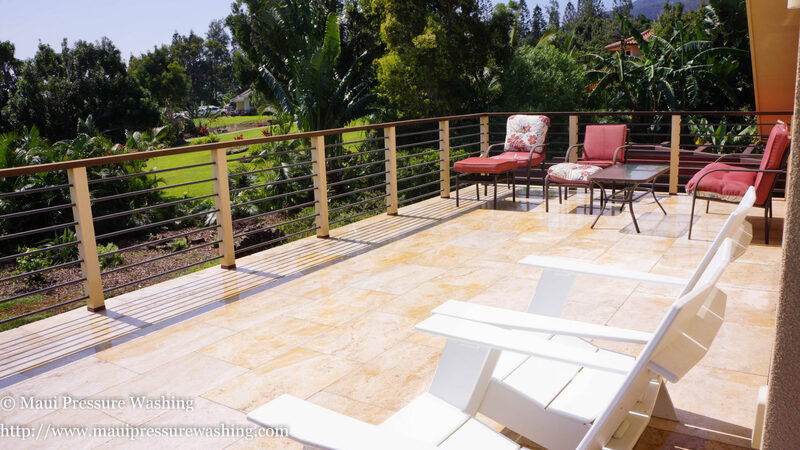 Maui Pressure Washing offers Tile power washing for any size home or business. Hawaii tile cleanup, Maui power washing, Maui tile cleaning, Tile power washing. Bookmark.